Serving the Community, One Meal At a Time! 2018 Share the Love Event is HERE!! 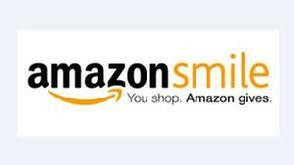 Don't forget - do your shopping at smile.amazon.com this holiday season and Amazon will donate to Blue Ledge Meals on Wheels!! OUR MISSION is to support the rural communities of Amherst County by delivering prepared meals to seniors and disabled individuals. By supplying food and daily contact with the outside world, we make it possible for homebound individuals to continue to lead independent lives and remain in their own homes. Our meals are prepared by local restaurants and churches. We receive no government funding, but instead draw our support from the individuals, businesses and religious and social organizations of our county. As a member of the Meals on Wheels Association of America, we embody the spirit of that organization's Rural Initiative, striving to become an integral part of our rural communities. Want to know more about us and what we do? Use our website to read about the work we have done so far and our plans for the future. Do you like what we do and want to know what you can do to help? Call us 434 942-4864, our dedicated, all-volunteer team will be happy to answer any questions you might have. 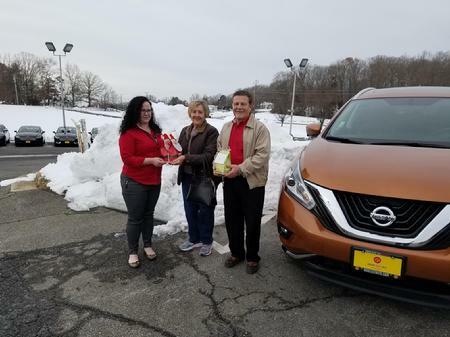 Blue Ledge would like to give a shout out to Virginia Select Auto (https://www.vaselectauto.com/), 1873 S Amherst Hwy, Amherst, VA 24521 for helping a neighbor in need! Our very own Tammy Martin, Coordinator for Blue Ledge and also a client, was, like many others, snowed in by the recent snowfall...or rather Blue Ledge Volunteers were snowed out! Meaning, Tammy was not able to receive her meals. A friend contacted Virginia Select Auto and told them about Tammy's situation. "From the minute Beth Jennings answered the phone she was making arrangements with the General Manager, Bruce Strickland to have their crew clear snow from Tammy's driveway." Jasper West was the particular driver. Jasper was not available for picture. Tammy was able to receive her meal last night and now her Dad can come to visit this weekend! Thank you so much to Beth, Bruce, and Jasper for being a good neighbor!